The Chicago and its companion World Cruisers completed the first round-the-world flights in 1924. To handle the harsh conditions of a flight around the world, the U.S. Army Air Service needed a strong, reliable aircraft. Lt. Erik Nelson, who would pilot the Douglas World Cruiser New Orleans, worked with Donald Douglas to modify his DT-2 torpedo bomber design into a World Cruiser. 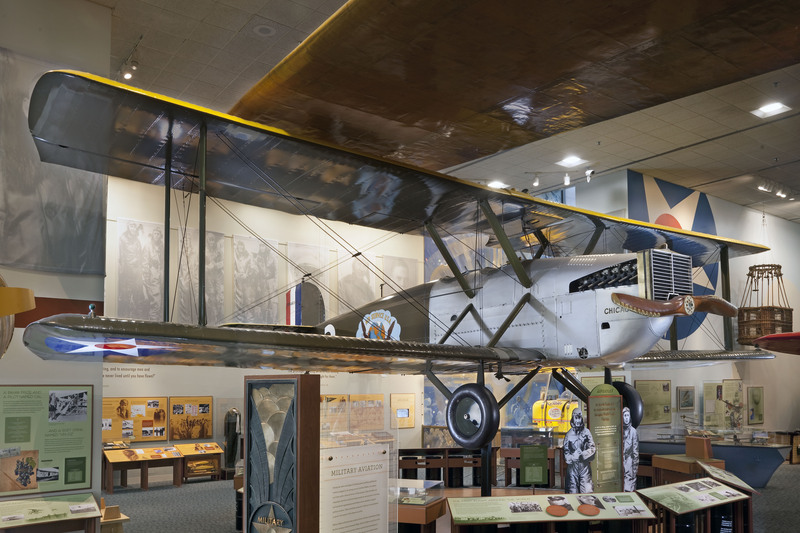 The new aircraft had increased fuel and cooling capacity, a tubular steel fuselage, strengthened bracing, a larger rudder, a cutout in the upper wing to increase visibility, and closer dual cockpit locations. Because the flight would take place over land and water, the aircraft also featured interchangeable floats and wheels. The Douglas Company delivered a prototype and four World Cruisers at a cost of $192,684. Find out more about The Douglas World Cruiser Chicago.